The Daily Encouragement: "The Mirror Guidance"
"Originally, every person’s life is a brilliantly shining mirror. 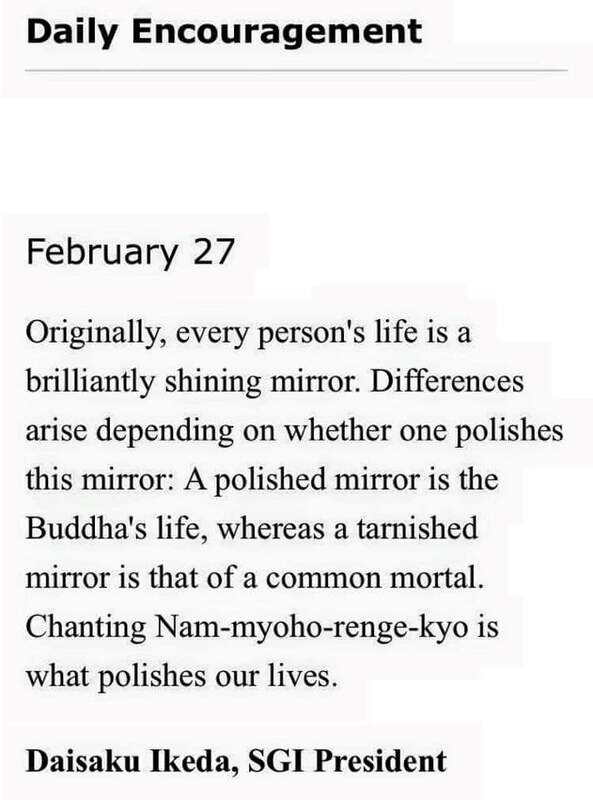 Differences arise depending on whether one polishes this mirror: A polished mirror is the Buddha’s life, whereas a tarnished mirror is that of a common mortal. Chanting Nam-myoho-renge-kyo is what polishes our lives." 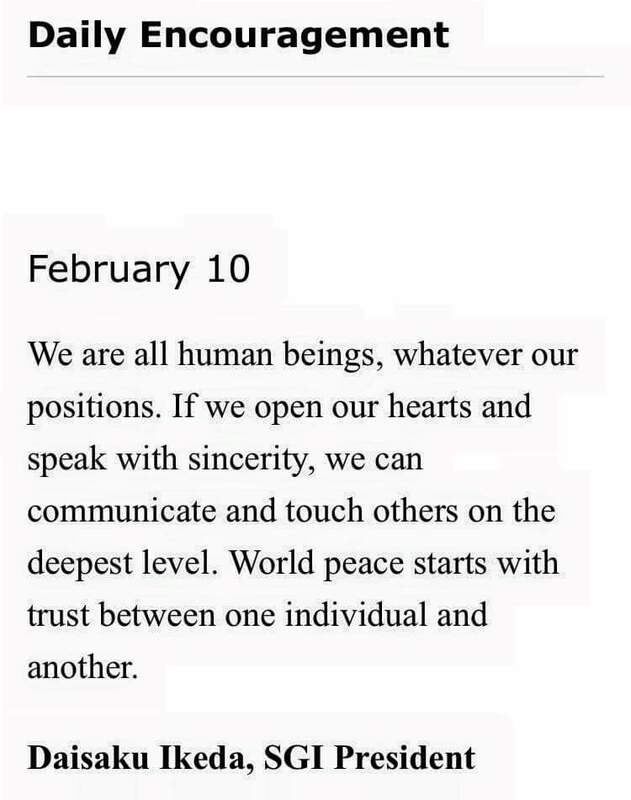 #TDE – #Ikeda on Trust. "Because life is long, you should not be impatient. 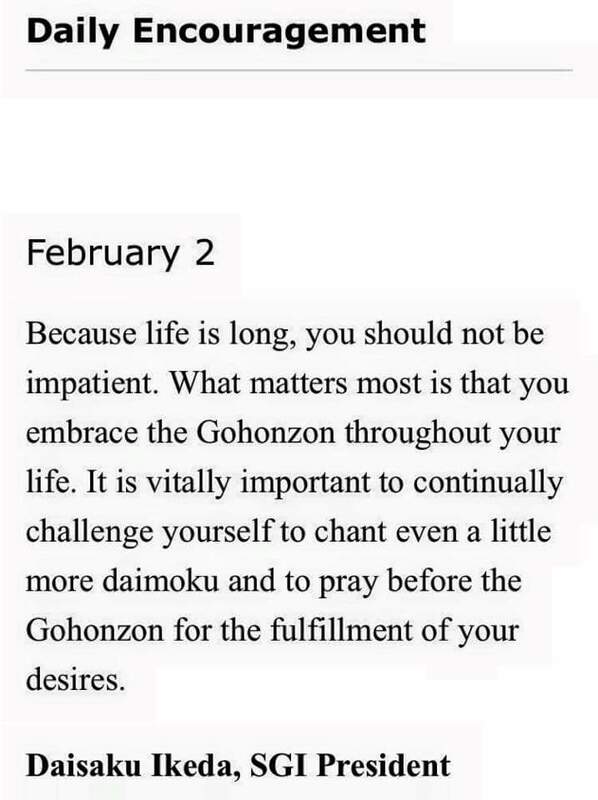 What matters most is that you embrace the Gohonzon throughout your life. 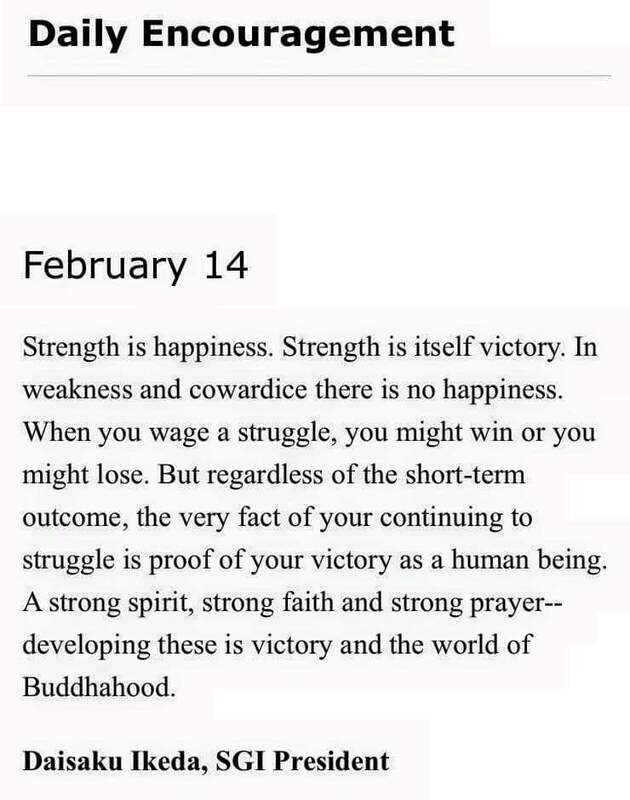 It is vitally important to continually challenge yourself to chant even a little more daimoku and to pray before the Gohonzon for the fulfillment of your desires."